You don't have to be Italian to know the difference between store bought pasta and homemade, the texture and flavour are incomparable. 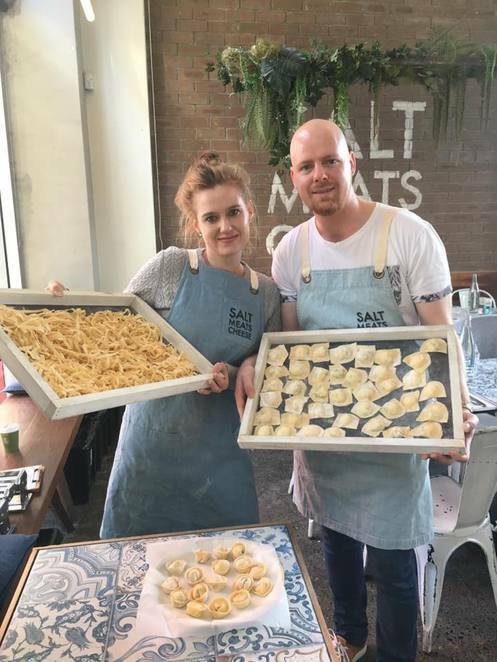 If you have ever wanted to learn how to make homemade pasta, Salts Meats Cheese are holding hands on pasta making classes so you can wow your friends and family with your pasta making skills. Running for 3 hours at their premises in Alexandria and covering Tagliatelle, Ravioli and Tortellini, the class is suitable for beginners with step by step instructions and demonstrations on how to create fresh pasta from scratch. You will then end the lesson with a delicious freshly made pasta meal and a glass of wine so you can enjoy the fruits of your labour, ie, eat your pasta with a glass of wine, Italian style. 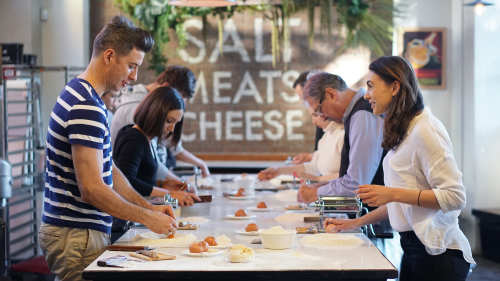 The cost of the class is $99 and that covers the lesson, recipe, pasta and a glass of wine, all you need to bring is an apron & your appetite. Please note closed shoes and comfortable clothes are recommended. You can check on all upcoming dates on their website, including how many tickets are remaining for each class. Classes are booking out fast and in advance to be sure to reserve your spot.